Legislators know universities are going to make up lost state revenue by raising tuition. In fact, that’s what makes cutting funds to higher education so easy, says Eastern Michigan University President Sue Martin. Martin knows what she’s talking about. She has a Ph.D. in accounting. She was deputy state treasurer under Govs. William Milliken and James Blanchard, helping formulate state budgets. She’s been in higher education for the past 22 years, with a front row seat as state funding plummeted and tuitions skyrocketed. A Bridge Magazine analysis found that Michigan’s public universities are more expensive than public universities in almost any other state, forcing students to pay what amounts to a college tax. With Michigan mired in a decade-long recession, state budgets have been tight. Legislators see funding for public universities as an easy place to cut, because “universities have a safety valve of tuition that can be raised” to make up for lost state funding, Martin said. If the Michigan Department of Transportation loses money, potholes aren’t filled. If public universities lose money, they can raise tuition and keep the lights on and the professors paid -- and everybody's happy. Everybody, that is, except the students footing larger bills. Michigan students today leave campus with an average of about $25,000 in student loans. 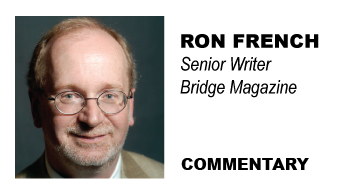 Why doesn't the Bridge actually try to write an article that is informative? Give the whole picture. Pick a couple of somewhat the same schools in a few states. Then, provide how much a degree costs at each and how much the state pays and how much the students pays at each. Provide a little information on how much of the student debt in Michigan is due to either the over-charging of the schools or how much is due to the state under-support of the schools. It is important to note that Eastern Michigan University president Susan Martin has worked very hard to reduce the tuition burden on Eastern's students and their families. Under her leadership, Eastern has decidedly not exploited the "safety valve" of raising tuition in the wake of greatly decreased state funding. For the past three years, EMU has - by far - led the state of Michigan in tuition restraint. This included the 0-0-0 campaign for the academic year 2010-11, when EMU froze tuition, fees and housing costs. The past three years, Eastern’s overall increase in tuition has averaged just 2.5 percent, the lowest increase in the state, and students are paying only $20 more per credit hour than 3 years ago. EMU students now pay the third lowest annual tuition among the state's 15 public universities, yet EMU has continued to invest in crucial academic facilities such as the recent renovation of the Pray-Harrold classroom building. The comparative student cost figures cited in this very thorough Bridge series, while a relevant measuring stick in many cases, predate these moves by President Martin. Note: Geoff Larcom, who worked as an editor and reporter for The Ann Arbor News for 25 years, is now executive director of media relations at Eastern Michigan University. His beats included covering academics and administration at the University of Michigan and at Eastern Michigan University. Not really. You just published an article about State Rep. Bob Genetski an "outspoken critic of how universities spend money". Well, which is it? Are MI universities spending money comparable to how schools in other states spend money? Of that roughly $8500 more per year that Barbara pays more than Caroline how much is due to "how Michigan Universities spend money" and how much is due to lack of Michigan's support for Universities? I've met Sue Martin, and she is a very reasonable person. As an alumnus of EMU, I can tell you she has worked harder than any other university president in this state to hold down tuition. She is right, we are being foolish. All in the name of not raising taxes. I've worked for large corporations/organizations and they are no more efficient than the government. Improved efficiency will only carry us so far. At some point we have to decide what we value enough to pay for. I don't see that the state universities in Michigan are lacking in finding students so it must be a reasonable cost relative to their other options (private universities and out of state tuition). The state has no business funding university education as it benefits the few at the expense of the many (via higher taxes).